As technology has turned into a pivotal aspect in almost every industry, it’s safe to say that even the housing industry has been smitten by the technology bug. It’s because the online search has now turned into the most effective method of finding a home for prospective home buyers. The digital transformation has also had its impact on the mortgage industry as increasing number of lenders has quickly digitalizing the process, right from application to closing. Even though the applicants may still require fax machines and scanners to furnish their financial documentation; the process has undergone an extensive transformation as digital capabilities such as online form submission and digitalized documents are turning into a norm. Check out some of the ways in which technology is playing a vital role in reforming the mortgage industry and helping both lenders and borrowers to ensure safer and quicker lending process. It usually takes around 50-60 days to complete the loan process from start to finish, out of which almost 18-20 days are consumed in obtaining an underwritten loan approval from the lender. In today’s fast-paced world, where groceries ordered from an online store get home-delivered within hours, the time span of 60 days can seem too long, even if it’s a transaction as important as a mortgage loan. To address this issue and optimize the entire process, Technology is being utilized to enable applicants to navigate a self-guided experience. For borrowers with smartphones, a real-time assistance from their designated loan officers is another feature driven by technology that is helping mortgage companies to deliver an improved experience. Moreover, by empowering the borrowers with self-service, even the mortgage firms are able to extract the benefits of investment as they no longer have to extract the exhaustive documentation from their clients, which happened to be a monotonous task. Mortgage process involves extensive documentation with each loan application file running close to 500 pages. To make it paperless can be an arduous task. However, with advanced technology in place, the cumbersome task of filling several forms and collating a number of financial records has become easier than ever. Moreover, digitization provides an opportunity for better coordination between the applicant and the loan manager, as they have enough time to interact sans the time-consuming paperwork. As the process grows increasingly efficient, the document aggregation that involves collection and collation of credit information, bank account statements, tax forms, pay stubs, etc, can easily be prefilled into the required forms. The streamlining of the process not just helps the home buyers but also is a huge relief for the loan officers as it simplifies the tedious collection and verification processes. Traditionally, applicants had minimal access to the mortgage firm’s internal systems, making it difficult to get the updates on their loan status. However, the access to this information through technology has made it easier for the borrowers to get the latest information with few clicks. They no longer have to rely on the loan officers, which only used to leave them anxious when their multiple phone calls and emails went unanswered. Moreover, the new portals deployed by the mortgage firms enables the applicants to see much of the same information as the loan officers do, and that too in real-time. When they are able to access a complete list of required documents and interact to the queries of the loan officers on an ongoing basis, the level of transparency is automatically increased, which also boosts the trust factor between the borrowers and the mortgage firms. In addition to these conveniences, the applicants are also able to enjoy the mobile-first experience that provides them with unparallel access to all the information required to get a mortgage loan right on their phones. Right from completing the loan application to getting the loan sanctioned through e-signing the documents with just a few taps or clicks, shows the incredible role technology has come to play in the revolutionizing the mortgage industry on the whole. Online search has now turned into the most effective method of finding a home for prospective home buyers. 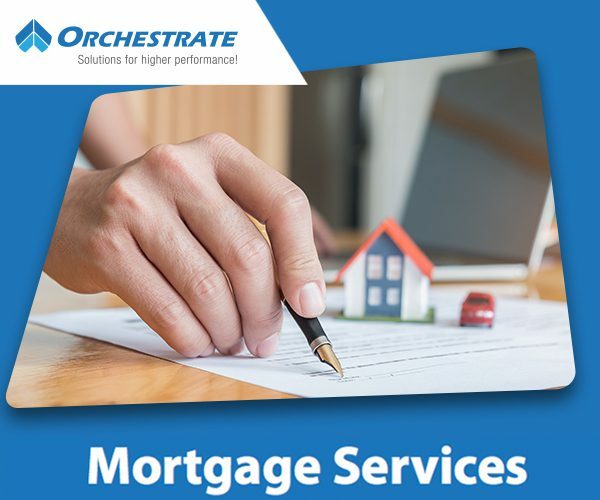 The process of applying for the mortgage loan has undergone an extensive transformation as digital capabilities such as online form submission, and digitalized documents are turning into a norm.